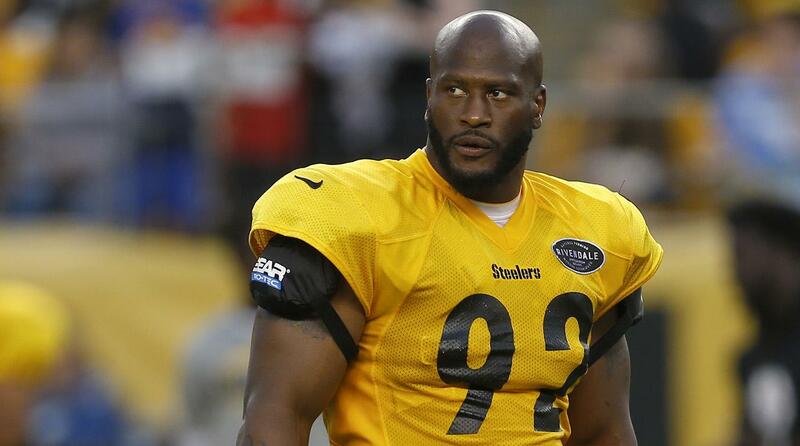 Earlier on Tuesday former Steelers linebacker James Harrison sat in with Shannon Sharpe and Skip Bayless on their FS1 show to discuss the ongoing situation with the Steelers and their unhappy wide out Antonio Brown. 1. Sharpe HATES Ben Roethlisberger, at least when it comes to being a leader, and seems to want to blame him for just about everything, this after he called out Brown for a missed route. 2. The praise over Tom Brady is enough to make you vomit, and they act like Brady has NEVER gone after a coach or player in his life, which is about the funniest thing you’ll hear all day. Brady has 100 percent gotten into shouting matches DURING A GAME with players and coaches. 3. Harrison seems to feel that Brown’s biggest issue is ‘respect’ and it seems like him (Brown) not getting the MVP award and it going to JuJu Smith Schuster was maybe the back breaker in this mess. It’s all rather funny considering that the players on the team and no one else voted on the award, so if Brown was so well respected and loved, why didn’t they give him the award anyway? 4. Harrison seems to put most of the defensive struggles over the recent history on Mike Tomlin, not missed tackles, not guys getting hurt, or not guys like Harrison himself not willing to be a mentor like last season, but all on Tomlin. Yes Tomlin has stake in the fault on all this, but it’s kinda funny to think the struggles should all be on him. 5. In reference back again to Sharpe hating Ben, I know I’ve heard Roethlisberger on at least 8-10 occasions over recent memory coming out and taking the blame for poor play or losing a game. Yes, he may have called out Brown for a wrong route, but to put up a hissy fit and then make up an injury and not play? I don’t recall Roethlisberger ever doing that in his career. 6. Sharpe and Harrison talk out of the both sides of their mouths a lot during this interview, saying that they understand guys getting treated differently but then those guys shouldn’t take advantage of it – isn’t that exactly what Harrison did last season (according to his own teammates) and now AB did a number of times this year showing up late to meetings? 2 Comments on "James Harrison Speaks Out w/ Shannon Sharpe and Skip Bayless on FS1 on AB – It’s Worth a Watch for Sure"